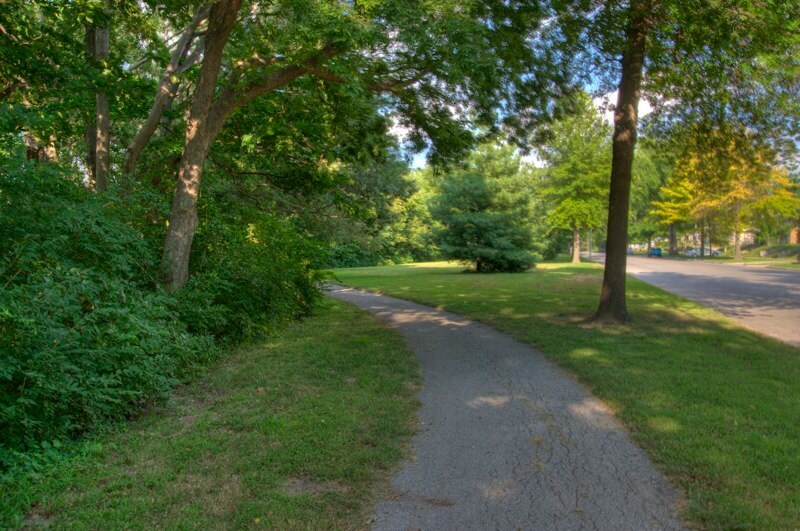 The Indian Mound Neighborhood Association takes its name from the geological feature of the same name located at Belmont Avenue and Gladstone Boulevard. 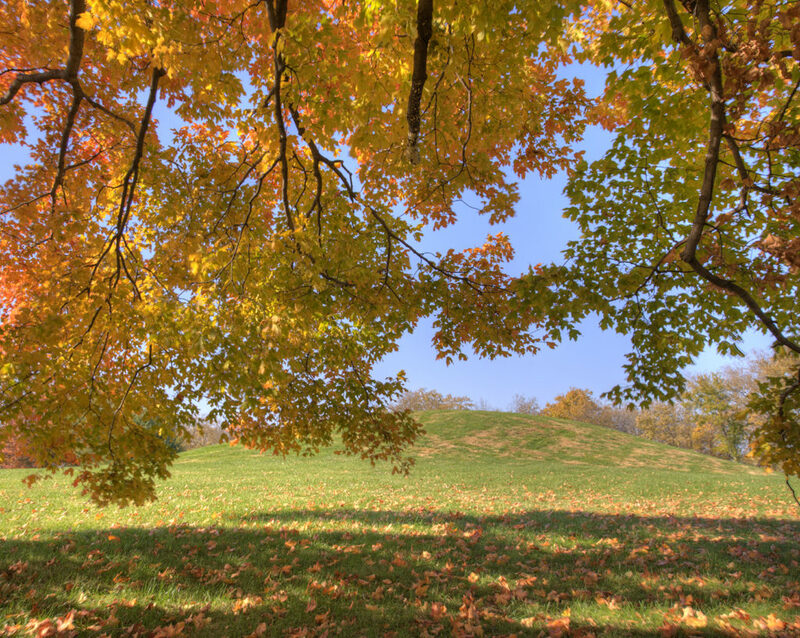 The ridge on which it is located runs from the Mound to west of the Kansas City Museum and had seen, probably, continuous Native American settlement for hundreds of years. Early amateur archeologists have found remains of settlements at Hardesty and at White along Gladstone Boulevard, and, when the foundation was dug for Gladstone School in 1913, remains of a village including a dance floor were found. The Kansas City Museum has in its possession hundreds of artifacts found along the bluff at the aforementioned sites and at the Mound itself. But what is the Mound? Some have said it is a burial site, others a place for signal fires, and some have said it’s just a place where generations have lived and their waste and daily living built up the area. In 1923 amateur archeologists dug two trenches in a cross shape 5-feet deep and 50-feet long. They found pestles for grinding grain, spear and arrowheads, flint knives and human bones. Unfortunately the methods of that day were far less precise than those used today in archeology. Without knowing where these items were found or at what strata within the 5-foot depth it’s impossible to define use or period of use. If the bones were at the lowest level than it is certainly possible Indian Mound began as a burial site and had different uses by later inhabitants. In 1937, with the Mound deteriorating badly, it was decided that, as part of a Works Progress Administration (WPA) project, the Mound would be covered with soil. What we see today is the end result of that work. There were many tribes who frequented this area; one, called the Middle Mississippians, built many mounds in the St. Louis vicinity and could have been in our area around 800 A.D. This high point of land with views for miles in all directions with plenty of game and fresh springs on the bluffs would have been popular with numerous tribes. Indian Mound will probably remain a mystery. A modern, scientific dig would need to remove the 1937 soil and then try to determine where previous digs took place. Only if “virgin” parts of the Mound could be found would it be possible to identify uses through the centuries. That’s not likely to happen and maybe it’s best if it remains just a subject of speculation. Sources: “Passages Through Time” by Dory DeAngelo, Missouri Valley Room, and Kelly Remley soon to be graduate student in Anthropology.